Train to Busan takes a very simple plot (zombies on a train) and turns it into a terrifying thrill ride. Imagine being stuck on a bullet train unable to escape the hordes now infesting it and the only thing you can feasibly do is just keep moving to the next carriage hoping they don't finally reach you. It's hard enough imagining how you'd survive but then fill each of those carriages with passengers from all walks of life equally terrified and you have quite the situation on your hands. One of the best parts about this film were the characters. Yes the main stars and their storyline are important but all the supporting characters were incredibly fleshed out as well considering the actual amount of screen time each character had between action sequences. My favorites were the husband and wife couple Sang-hwa and Sung Kyung and the two high school students Jin-Hee & Yong-guk. Speaking of action, woah boy! Due to the limited confines of a train every instance of Zombie rage felt amplified and every action the characters took meant life or death for another passenger. However my favorite part of the film happened midway through the film and involves several trains about to have a very bad day. Lastly, I really liked the Zombies themselves. One thing Asian Horror does so well is they always employ incredibly acrobatic people to portray the Undead in the story. The Zombies didn't just run around biting people. 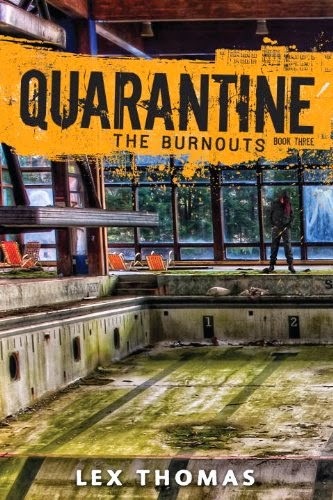 They contorted themselves in incredible ways as the virus took over and the little jerky movements really made them feel scarier. In just one simple movement either the Zombies could look more life like or menacing. Now the only downside to the story was the ending. Was it bad? Not in the sense of it lessening my rating for the film. Was it how I'd have ended things though? No. That's all I'm going to say because anything else would give too much away. Overall, Train to Busan was an action packed, adrenaline fueled, thrill ride through the Korean countryside and I for one cannot wait to see what the sequel brings. If you haven't seen this film yet do so. It is a subtitled film but the translations as far as I could tell were done well. With that being said, I will be rating Train to Busan ★★★★★.